Meraki was selected as one of the performing artists for the 5th annual Politics & Art: District Vox showcase! Politics & Art is co-presented by the Washington Performing Arts’ Mars Urban Arts Initiative (MUAAI) and DC-Councilmember David Grosso. The showcase will take place on Thursday, June 13, 2019, 5:30-8 pm in the John A. Wilson Building in Washington, DC. Meraki’s showcase will include a performance of Jamie Wind Whitmarsh’s “No Progress Without Loss … every new beginning,” commissioned by the duo in 2017. Meraki and composer, Jerod Tate, are recipients of the 2018 Classical Commissioning Grant from Chamber Music America! Jerod Tate’s work is fueled by his dedication to the development of American Indian classical composition. We are so excited to commission a work for our Essence project that features such a unique compositional voice. Follow us on Facebook, Instagram, and Twitter for more updates on this project. This commission has been made possible by the Chamber Music America Classical Commissioning Program, with generous funding provided by The Andrew W. Mellon Foundation, and the Chamber Music America Endowment Fund. The Axios Trio was selected as winners of the Montpelier Arts Center 2018 Classical Recital Competition! 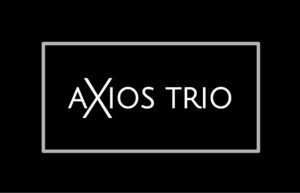 As a featured recitalist for the upcoming season, Axios Trio will give a recital on Sunday, March 17, 2019 at 3 pm, which will be followed by a Meet and Greet reception.